How it may sometimes more challenging for women farmers that it is for men. Criteria for choosing new farm land. Options for funding and financing a new farm. Matching farm enterprises to the land. The importance of farm tours and agritourism. How renting and leasing can be a pathway to getting your farm. So, we think of the process of creating a new farm as a linear one. You find a piece of land, you procure it and you start your farm. But Jenn Colby’s path to farming was far from linear. If ever the expression “perseverance pays” was applicable to farming, this is it. Jenn started down her farm journey in 1997, but has only recently finally settled on her existing farm site in Vermont. In this interview, Jenn shares how her agreement to speak at a Rotary Club serendipitously led her to the land she now farms. That was after many failed attempts at closing on other farms. 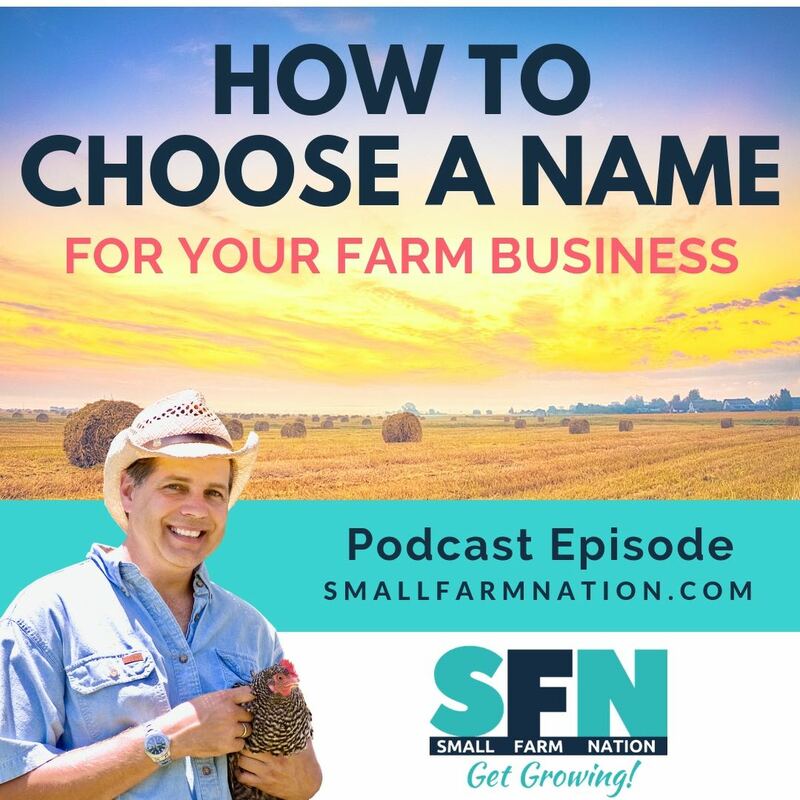 Jenn shares the criteria she established for finding and financing a farm, and how she approached developing business plans that worked for the land, and for the lenders. We also discuss options for funding a farm business, and ways to use other people’s money to farm. Jenn shares her strategy for on-farm events including using crowdfunding for an upcoming yurt agritoursm enterprise. Near the end of our talk we dive into the sticky subject of how farming as a woman is different from farming as a man. Jenn shares why many women feel there’s a need for women-led farm and business courses. So let’s dive right into my talk with Jenn Colby from Howling Wolf Farm in Randolph, Vermont. Tim Young: [00:00:16] Is starting a new farm a quick sprint? Or is it a long marathon? Tim Young: [00:00:22] Hey is Tim Young a small farm nation. Today I’m speaking with Jenn Colby from Howling Wolf farm who’s been starting up her Vermont farm for 20 years now. Tim Young: [00:00:39] Well hey there and thanks for joining me again this week. Tim Young: [00:00:42] So we think of the process of creating a new farm as a linear one. You know you find a piece of land you procure it and you just start your farm. But Jenn Colby’s path to farming was far from linear if the expression perseverance pays has ever been applicable. This is it. Now Jenn started down her farm journey in nineteen ninety seven but it’s only recently that she finally settled on our existing farm site in Vermont. In this discussion is going to share how her agreement to speak at a Rotary Club serendipitously led her to the land. She now farms and that was after many failed attempts at closing on other farms. 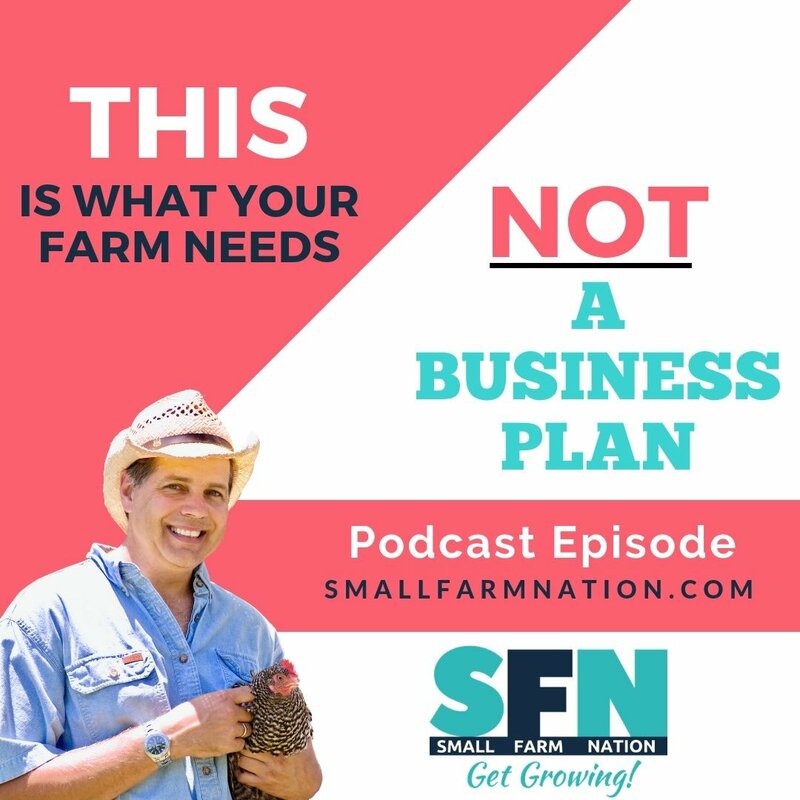 Jenn shares the criteria she established for finding and financing a farm and how she approached developing business plans that worked both for the land and for the lenders. We also discuss options for funding a farm business and ways to use other people’s money to farm. Jenn shares her strategy for on farm events including using crowdfunding for an upcoming year at agri tourism enterprise and near the end of our talk. We dive into the sticky subject of how farming as a woman is different from farming as a man. Yeah like I would know anyway. Jenn shares why many women feel there’s a need for women led farm and business courses. So let’s just dive right into my talk with Jenn Colby from Howling Wolf farm in Randolph Vermont. Tim Young: [00:02:22] Joining me today is Jenn Colby from Howling Wolf farm in Vermont. Now Jenn has been a small but serious farmer since 2000. She’s experimented with different Meat Livestock and other enterprises and you know a lot of small farmers have off farm jobs. And Jenn is no exception with her background in Animal Science have an organization and nonprofit management she’s augmented farm life by leading community and regional agricultural products and working directly with livestock farmers to improve their grazing and animal management system something that’s gonna come in handy for her farm as well. Now her time with the University of Vermont Extension Center for Sustainable Agriculture has allowed her to learn from other farmers and then test ideas on our own farm and then now share personal experience and learning with everyone and that’s part of what we’re gonna do today. Now in 2016 Jenn and her husband Chris Sargent bought a new farm with enterprises focused on grass fed sheep heritage pork on farm dinners and events and I believe she’s even planning a farm near York this year perform stay so that’s a mouthful Jen. Welcome to small farm nation. Jenn Colby: [00:03:31] Thank you so much for having me. It’s my pleasure. Tim Young: [00:03:35] Listen I was intrigued by an article you wrote in On Pasture magazine. 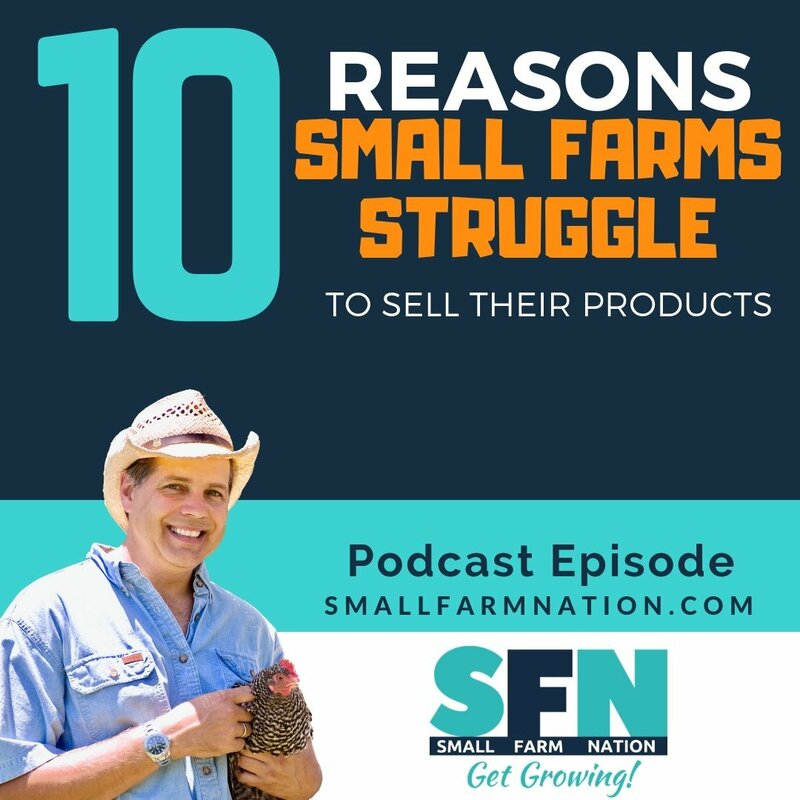 I know you write a number of articles for them or you’ve written a number and that article was called How to start your own farm from scratch and I’d like to dive deep today into what you’ve learned about starting a farm. But let’s start with your background what led you to wanting to have a farm in the first place. Jenn Colby: [00:03:56] Apparently I was compelled because I’ve tried to not have a firm several ways I’ve come to these points of decision where we’ve had to say are we going left or are we going to be going straight ahead and seems to be straight ahead each time. Tim Young: [00:04:10] I think everybody who’s in farming has had their faith faith tested many times it sounds like you have as well. Jenn Colby: [00:04:15] Yes I absolutely have so. So I actually started out the idea of integrated of science and my original plan my tracks was to go to go to veterinary school become a veterinarian. I wanted to work with large animals or with wildlife large wildlife howling wolves. Perhaps this did come from somewhere this this farming. And so I didn’t end up doing that for a variety of reasons. And it’s interesting as I look back now it was more than 20 years ago and I look back now and I think gosh you know I really wasn’t meant to be a vet. Somewhere along the line I realized what I really wanted to be was a farmer and I didn’t realize for a long time that that was actually an a real viable option. So I. So I just started doing I work for an organic dairy company out of college and learned a lot worked directly with farmers. I realized how much I appreciated and adored farmers particularly livestock farmers. We had a deep connection there. And the longer that I worked in that business the more I realized that what I really wanted to do was farm myself even on a small scale. I needed to have a lot of sick animals and start that so you know you could have that livestock connection of course. Tim Young: [00:05:36] Had you pursued the vet path of the animal rehabilitation path or any number of other channels something drew you to farming and I’m wondering if it’s if it was the soil that drew you to farming or if it was the have the fulfillment of wanting to produce something from the land and then give that to a consumer or what do you think it was. Jenn Colby: [00:05:57] It comes back to wanting to care for animals myself on a daily basis. I realized in the course of my last year my animal science program that I actually had a veterinary class and I really enjoyed that I really enjoyed the science of that I really enjoyed working with the animals themselves but I realized I wouldn’t be able to have a relationship with those animals. Jenn Colby: [00:06:22] And so because they would be animals owned by someone else I’d be able to come and help with their health but it would be an in and out kind of a thing and I realized somewhere along the line I really was attracted to the long term relationship with the animals and also the people who care for the animals because I think it takes a really special person to both birth an animal raise it and care for it for many years and decide when the animal needs needs to end its life whether that is for a food product or because animals old and I really wanted to be one of those people I just really held them up in very very high esteem. And then I found myself here. Tim Young: [00:07:06] I mean I get that perfectly because I think any of us who have embarked on livestock farming pasture based lifelike farming in particular because you’re so close to the animals whether or not we have backgrounds in farming or not it just gets in your blood. You know the work of you the work of getting up and being with the animals and you know I sold my milk cow for example a few months ago and I’ve been milking every day for a long long time because we’re going to eat and travel in a couple months. And now I just can’t wait to get a milk cow again. I mean I just. You’ve got to have that in your life once in your life. Jenn Colby: [00:07:38] It really is. And so here. So here’s a funny story so along the way you may have read an on pasture article it was quite quite a long process and along the way I decided that in order to help pay down our debts and be a little bit more stable before embarking on a larger farm operation I need to go to graduate school. And so most smart people would divest themselves of all distractions or as many as possible if they were going to try to work full time and have a family and also work through graduate school. I bought 40. We still have about that like most smart people would get smaller and I ended up getting bigger and what my husband and I do talk about is those sheep kind of saved me through that. That graduate program experience because I had all of this tension and all of the stress and I would go outside for 15 minutes and just hang out with those four sheep and come back in my load was lightened my personality was different my everything was better. And so despite the complications that livestock bring us I think that there’s a there’s a there’s a there’s a peace that comes with especially ruminant livestock. They’re ruminating they’re chewing the sound of grazing there’s a peace that comes with that. That is absolutely irreplaceable for me. Tim Young: [00:09:07] Yeah. You know I wonder back then this is of course before you were farming you were in graduate school and yet you buy four sheep. I’m wondering if almost subconsciously you had this fear that maybe you wouldn’t do it. You know that you’d like to be a farmer but you bought something but somehow you wouldn’t do it. And I wonder if you bought those four sheep almost to force you to stay in the game and good on that path. Jenn Colby: [00:09:30] Oh boy you know it’s very possible. Tim Young: [00:09:35] I have to get the listeners this is Jenn lying down on the sofa and we’re going back to analyze what I’ve been why she made choices but which you know. But I’ve done the same thing and I bought animals when I wasn’t ready for certain enterprise or whatever. And then it forces me into that enterprise and I wonder if that’s what happened. Jenn Colby: [00:09:53] It sort of is in the sense that it does. So I had. So we started out with poultry. It’s a great entry product for folks who decide they want to you know it’s a shorter term product a product like it’s a shorter term life cycle it’s a smaller animal much easier to contain for example and in theory but. And then we’ve moved quickly into pigs and we’ve we’ve maintained pigs because we absolutely love pigs. We hadn’t really done a lot with ruminant livestock. We we had had we’d had some free sheep a couple of times and I will always sort of like say to people as I look back on that experience three sheep are never really free. And so you know they escaped and they died and they were a major learning experience for myself and for them and I came out of that saying I’m never going to have sheep again I’m never going to have sheep again Please shake me to my husband if I ever want to have sheep again and then I ended up working an extension and I met a sheep farmer who had the right kind of sheep for me and so that was very much a learning experience because it doesn’t mean that something is good or bad for you it’s whether it’s appropriate for you but it is appropriate for you at the time. And so when I was in graduate school that particular farmer who sheep I adored and I knew would fit my program was getting out of sheep because he needed to have a shoulder operation and so that just pushed everything I said oh well this is what I can afford to buy is the number of animals I can afford to buy and we to hold them for me. Jenn Colby: [00:11:30] And he did for a couple of months and we we bought them and they were the foundation animals for the flock that we still have so yeah I love I love sheep I raise a ton of cattle and and now I raise baby doll s on the sheep but but but goats are my nemesis I will never get another goat. I’ve tried goats two times. Tim Young: [00:11:47] I know I’ve got a lot of goat fans out there goat listeners I’m glad that you’ve got the right fencing for it but I’ve installed two by four two inch by four inch fencing five feet tall whatever and the goats just get out. Jenn Colby: [00:11:59] I have not yet tried. I’ve tried goats although I have definitely been on a number of very successful firms so I know it can be done. Tim Young: [00:12:07] It can be done but not by Tim. So. So listen let’s go back 20 years ago so you wanted to farm. You want to have a farm but of course you didn’t then. So walk me through the steps in the journey how did you go from there to where you are today what were the what were the milestones what were the failures and what kept you going so. Jenn Colby: [00:12:24] So I was pregnant with my son and absolutely determined that we were going to own a home before he was born. And so we ended up buying a small house with land that we were able to afford somehow and we we moved into that about two months before he was born. And so that’s basically where we spent the next 16 years and we didn’t go into that thinking that it was necessarily going to be a farming operation. I didn’t actually know that I was going to be an actual farmer eventually eventually I and so like this spring after my son was born we got some chickens and about 15 chickens and we raised them and then the next year we got into we increased the number of chickens we got turkeys we added pigs and then we played around. And what was interesting about the property and I came to realise was was that it really was. It had been a farm property several times previously but is it always fails and now looking back on that I think I know why that is. It had wonderful soils but it was it was in a bad bad topography is in a bad geography. Jenn Colby: [00:13:40] It was on a blind corner. The majority of the road it was right on the road. The majority of the land was across the road from the house. And so it’s much more complicated. And so what I ended up doing was just expanding as much as I could right on the two acres that we had around the house. I eventually moved across the road and we grazed sheep up through the woods on the 38 acres across the road. We used the neighbors land. We expanded the pigs expanded the sheep. We never maxed out the land but we definitely got to the point where we had to stop and look around and say OK if we’re really going to be farming for a living or for a more serious business than we’re doing right now this is testing and it’s great but are we going to get to the point where we really are actually doing this like a farmer thoughtfully would and that was where we decided to just sell that house. Get out of that situation and we actually rented for close to three years before we closed on this farm. Tim Young: [00:14:46] Well when you had that house before you sold it you just said you had a number of sheep that you were grazing on the additional 38 acre. So what happened to all those sheep. Jenn Colby: [00:14:53] They came with us to the to the rented house. That was was up. That was that was one of the most amazing I’m so grateful for it. Even to this day. So we had a man I was worried I was worried about in-laws moving. But 30 sheep into a. Totally. I mean it was really unusual. So we looked around and these were you know this was my foundation. Animals I really wanted to keep the flock. I didn’t want to sell them. We did not bring the pigs. Oh no no. [00:15:23] When sheep get out of a sense they’re kind of cute and pretty easy to put back in when things get out of a fence. They may or may not destroy your neighbors lawns or gardens. So we didn’t want to deal with that. But what we ended up doing is amazing. We ended up finding a rental in the village in our town that had an adjoining property also owned by our landlord. And they said absolutely you can bring the sheep you can put the sheep down there. They were within sight of our rental house and they were adjacent to some town lands that there was sort of oversight by the town but it was mostly open land and we ended up in this amazing relationship for two years with the town where we were managing some of their invasive species so it’s now going to pay. Tim Young: [00:16:09] Well what was the job you had then. Obviously this wasn’t your full time job so what were you doing for four income at the time. Oh so. Jenn Colby: [00:16:16] So I’ve actually been with university extension for this is my 14th 14th year and then with them. And so I was actually with extension at the time I’ve been doing outreach programming around grazing for this whole time for the last 14 years. And so that was an extra opportunity to not only test putting the sheep on to land that was exceedingly rundown exceedingly weedy very low quality very low production and documenting that. [00:16:49] And so I worked with the talent on it. We did a lot of education around it. Our local public radio station came and did a piece on it. 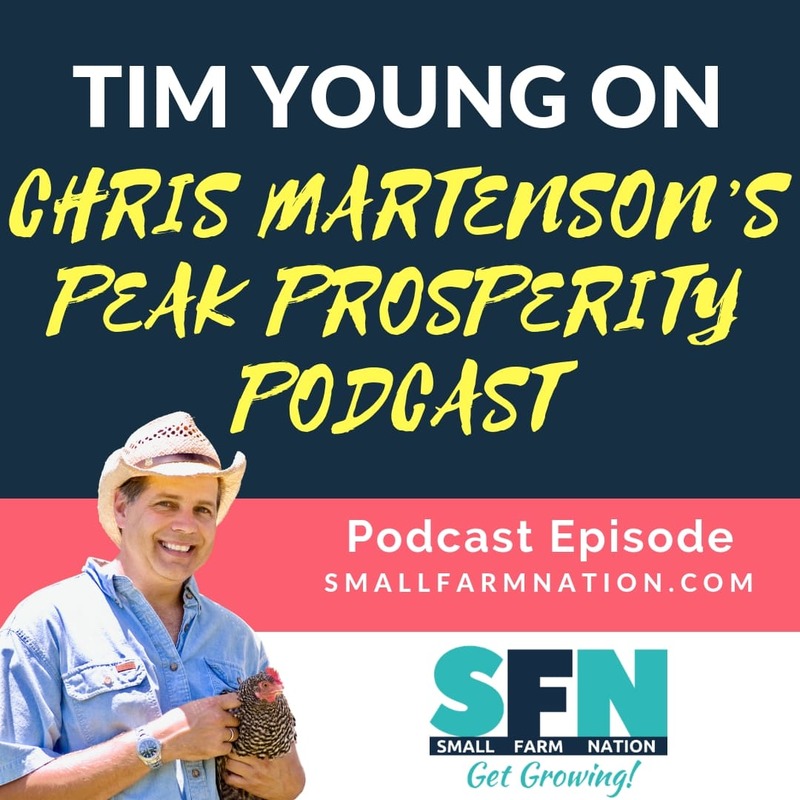 Tim Young: [00:16:57] It was really great opportunity both as a farmer and then to be able to share that but then also as an educator what a great symbiotic relationship right though because you’re in your job you’re able to meet farms who either have expertise or struggling with certain things you can put into practice what you’re what you’re trying to teach them and what you’re learning from them. And you know you basically can compare notes. Jenn Colby: [00:17:18] Absolutely and my my entire approach this whole time has been super low tech and I don’t own a tractor I’ve not owned a tractor in 20 years in fact I am now looking at maybe buying a tractor next year or later this year more for the year projects than actually the livestock because livestock they have feet and I always need to do is move them from one place to another they distribute their own manure largely they can walk to food and and that’s been my approach when I talk with other farmers in a similar position and size and scale. You don’t always have to have a lot of heavy equipment. You don’t always have to have a lot of overhead and then sometimes it means maybe you grow more slowly but it also may mean that you have more more stability because your animals are your are your investment instead of all of the heavy equipment. Tim Young: [00:18:14] Well we’re gonna jump around here a bit because I want to come back and stay focused on your journey in the story but since you just brought that up I mean you’re in you’re in central Vermont so you’re you’re you’re feeding hay seven or eight months out of the year I got a permit so I assume I assume you do it first while you’re not cutting your hay because you’re on a tractor and you may not have the land for that. So are you doing square bales and bringing them to a barn or how are you dealing with hay. Jenn Colby: [00:18:37] So we’re actually pretty low infrastructure building farm buildings farm at this point too. So when we moved to this new location there was a falling down barn and then there was a shed and so we tore down the falling down barn and we have the sheep. Basically it’s a running shed. We have a front and back to it and we have the ramps on the back and the used to the front of the farm itself is exceedingly steep. [00:19:03] Very thin soils very leggy so actually perfect. Jenn Colby: [00:19:07] There’s an extension educator to be documenting bringing this farm back for those reasons it wouldn’t have been a great story if I had just bought like a beautiful farm or a room that a lot of people have done. You know it’s so true it’s so true and I do think that that’s part of it. It gets really intimidating for a lot of a lot of small farmers and new farmers. I feel like it’s also very intimidating for women farmers as well to come in and to go to a pasture Walker workshop and somebodies farm where they have a lot of equipment and infrastructure and and you come into the story 20 years down the line where things do look great and they didn’t in the beginning and so we don’t know how we get from one place to another. Jenn Colby: [00:19:48] So back to your question though. So we do feed about the goal is less than six months out of the year. This year I think we’ll be about that and what I end up doing is I don’t have the infrastructure paying infrastructure so but I have several neighbors in the area who are dairy and be farmers who are excellent in making round bales. And so in Vermont we do typically we don’t always but we typically do around bail that is wrapped and it’s in silos and plastic. You can do them as a very dry bale or you can do them as a bale that actually ferments a bit and depending upon the stage of my use pregnancy over the course of the winter you know I will buy hay from one person or the other person. The trick is they load the bales into my truck so I have to have a truck. But the trick is that we have to tip the bales out into the barn yard because we don’t have an easy way to move them around. Tim Young: [00:20:55] I’ve actually done that on a landscape trailer behind my truck before where when my tractor was broke so I had to push it up on the trailer and push it off. So I think we’ve all done some of it exactly exactly. Jenn Colby: [00:21:04] So we’ve just been doing it for like 10 years. And. Have gotten heavier as I’ve gotten older. How’s that go. Tim Young: [00:21:12] You are persevering. So so back to your story you were en route to I guess for a couple years so the good news is you had sheep so you can kind of call yourself a farmer the bad news is you had no land. Jenn Colby: [00:21:27] So during the rental period was when we were we were going through our lists we were figuring out what my husband wanted. My husband is not a farmer but he has really come a long way. He knows a lot about farming. He’s an excellent advocate and speaker and he’s a really great animal containment specialist in that he looks at the pigs and he says you know those things are looking shifty you might want to check that fence like he’s definitely come a long way. [00:21:55] It’s not what he wants to do everyday but feed the animals. But he’s definitely on board. But he had a different set of needs. Than I had and so we looked at some farms that had beautiful land beautiful grazing infrastructure terrible houses houses that should be torn down and he said you know I’m not going to go from our old house which needed a lot of work to another situation where we’re in an old terrible house that needs a lot of work. He said these are the parameters I have. And I came back with these are the parameters that I have. You know I need more than 10 acres I need enough acreage that kind of thing. High speed internet is huge for both of us. Certainly for marketing and and also for his needs to so. So. So we spent well we went through the process in that rental. Jenn Colby: [00:22:48] For about two years looking at different properties we had a different property under contract at one point. We had to let it go. It was too expensive. The numbers just didn’t work. I had to rewrite my business plan three separate times for three different farms. Tim Young: [00:23:06] Why did you have to write a business plan because you were trying to secure funding that required a business plan for a couple of reasons one of them was definitely because because we were working with lenders that required that. Jenn Colby: [00:23:18] But more than that it was we had to look at each property and the layout of the property and the assets of that property and determine where those fit with the things that we like and know how and what to do. So. So one of the properties we looked at and that was a farm farm with great infrastructure and a falling down house. It was right on a main road and it had some dairy infrastructure including a little milk house that was right by the road. And my husband and I had experience as as barbecue competitive competitive barbecue was for about 12 years. We just retired last year and one of the things we wrote into the business plan for that location was you know we’d actually like to do a barbecue stands every weekend. And so because we’re right on the road it’s a great location. There are things we could do with the barn infrastructure that that farm had that that were not options on the table for this particular farm that we ended up with. But this particular farm is one mile from an Amtrak station and it’s at the end of a road and it is a beautiful view. So like so we had to readjust and then the other side of it was the grazing side of it and that’s the piece that that I keyed into absolutely was. I had to build I had to look at the land and the productivity of the land itself and be able to build out realistic numbers from the numbers of animals that I felt like that land could realistically support. Tim Young: [00:24:54] So that’s interesting. All this is interesting because I guess there’s a couple of ways that a person could approach this one way is they could have a vision of exactly the type of farming they want to do I want to raise I want to produce grass fed beef and I want to have 100 cows. And so if they started with that mindset it would it would force them to choose a specific type of property the other way which sounds like what you did which is I really want to farm and I want it to be grazing based. But you know beyond that I’m very flexible. So you look for properties and when you find them. Sounds like you went through then and did an analysis of what livestock operation fits the needs of this land. [00:25:37] Yes we did a little bit of each. Jenn Colby: [00:25:39] Only because we knew that we we wanted to do the sheep so we and I certainly do know folks and I get I get calls from folks who say what animals would be right for this land like we bought a piece of property what animals will be left right for this land. Well what we were trying to do was fit the size of the operation knowing that we had some things that we were pretty good at. Like we didn’t goats are on the list for example but they’re way down the list at this point because we do have some interesting and growing goat markets in Vermont. There’s some really good opportunities but since I work full time off the farm I don’t feel like goats are an extra variable that I am ready to add right now. So so. But I agree. And I think that one of the challenges that we get into and this is like a cautionary tale for I think a lot of a lot of farmers of different set of different sizes is that it’s it’s it’s a challenge to take the land base and your skill set and the animals and have those all match up what the person lending you money using a spreadsheet is looking for. Tim Young: [00:26:49] Because the person to this because the person that’s lending you money for that is always going to want to maximize or they’re going to have something this is one caliper acre or whatever it may be and they want to maximize that. Tim Young: [00:29:10] So how did you so how did you end up actually getting a farm them because you’ve talked so far about were in the rental property and then you were looking at properties you did you plan three times but I haven’t heard yet that you actually found the place that you bought a place so you did. So is there more horror to come or did you actually find a place sooner. Jenn Colby: [00:29:28] Oh so so yes. So the third place that we did it did the business plan was for whisper here are our new farm in Randolph Vermont. And and that was that was that was kind of a fascinating fell into it. The prior firm was a competitive application. [00:29:52] Where the farmer was looking to sell or lease and they were taking applications of a sort of manage through a land trust organization. And we had just found out that we were not chosen for that on a dairy farm and they’d gone with a dairy farmer which is totally understandable. And I had the opportunity through a friend’s a sheep friend just an extension talk about what we do for the local Rotary and before I did my talk I just said so my husband and I just found out that we are not getting this other farm. And you’ve been looking for a farm for several years. We really want to stay in this community and does anybody have any suggestions or thoughts and two people came up to me with suggestions and one of them is the farm that we bought. That said so. Tim Young: [00:30:39] So the lesson is so the lesson is when someone invites you to speak at the Rotary say. Jenn Colby: [00:30:43] Yes. Oh that’s what. Absolutely. If somebody offers you an opportunity like like that just say yes. You never know where it will take you and you say yes to things but it sounds like so when I say that it sounds like it was a linear process like we found this farm and then we bought it and that is actually not at all what happened and it was much more complicated than that. It was due to various debts we know we still carry student loans well into our 40s now. We had a piece of property back at the old house we thought we were super smart and we divided up and we sold the house on those two acres. And the 38 acres on the other side of the road we thought we had some sale. And we said oh you know that’ll be our deposit when we’re ready for the new place. When that sells and we’re six years down the line and that hasn’t sold. And so we had some real challenges finding lenders who would be willing to leverage against lands as opposed to cash. So that sort of threw out any conventional you know residential lender we worked with. Jenn Colby: [00:31:49] We were looking at a federal agency loan a USDA loan that fell through because we of course we pursued because we have poor soils on this farm and so that’s not an identified priority. Kind of a situation for federal dollars which is also understandable. But each of those sort of narrowed our options and we ended up with the state agency who’s been fantastic. But each of those things each of those steps that required a new plan a soil recovery plan and then required mapping required redoing the business plan again. And we got we got down to the last moment practice well it was pretty much the last moment the last day where we had to we had a purchase and sale on the farm and we were either going to get funded or we were going to break have to break the purchase and sale and we got a yes and we screamed and had some champagne I hope if actually you know given you’ve given what you do you know an extension. Tim Young: [00:32:56] I assume that you at least have had some exposure and work with farmers that have been involved with grants or securing you know some type of assistance with funding. So you’re familiar with resources the people that you know and your experience or what’s available puts you in a unique position but yet it’s a big struggle for you too and a lot of people don’t have 38 acres as collateral or something like that that kind of assets get sorted. So what are the what are the available avenues that so some resources that someone would have is should they be looking for grants are there loans they should be looking for. What’s the best way for someone to fund their farm dream if they want to do it like you did and find a piece of property. 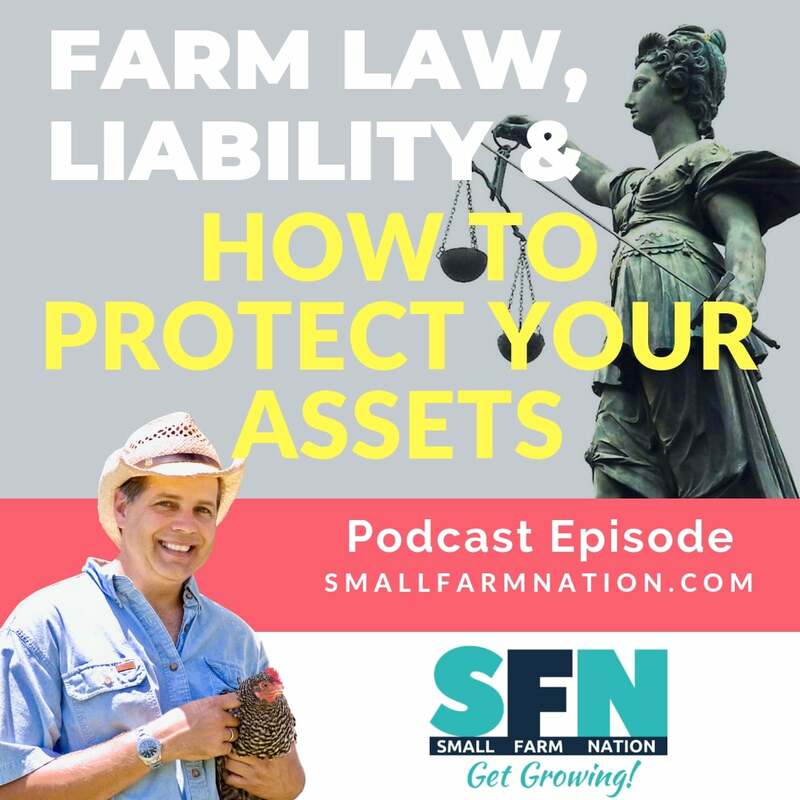 Jenn Colby: [00:33:36] So I think it I think they have to go back to asking themselves and we struggled a lot with this like they had to they had to ask themselves Is it really important that you farm or is it really important that you own. Because I think a lot more opportunity is available if you if you own or rent a small home and you lease land all around you that provides a lot of opportunity. There’s challenges to that too but that was a piece that my husband and I went back and forth about we knew we knew we had farmer friends who went in with partners to buy properties we knew folks who had gotten onto land trust properties through different arrangements we knew folks who had bought farms that were that were largely under low interest easements and so you know the expense was much lower with the requirements on the land. Know came there came with a lot of requirements on the land based on the easements so what I would what I would suggest to folks because this is this is what we had to go through ourselves is to think Is it more important that you farm and farm profitably. Or is it more important that you own a piece of land for a period of time and if it’s that important for you to own you can actually manage and be very profitable as a farmer or not or not owning actually could be a means to an end. Tim Young: [00:35:12] I interviewed Greg Judy a few weeks ago and had him on the podcast and of course Greg Greg was telling me and he was joking about it now. I’m sure he wasn’t laughing. Twenty five years ago when he owned one he only had eight dollars in his pocket after a divorce. But that’s where he started. And you know now he’s got sixteen hundred acres that he farms you know a fair amount of which he owns and he had zero cattle back then. He was doing custom grazing and now he has a head of 300 to 400 cattle but all that was accomplished basically using other people’s money to get there. So it’s a very good point you’re making. Jenn Colby: [00:35:40] Well it is and I pretty much I learned that from Greg. Oh good. Oh I adore that. He’s wonderful. He he came in. He spoke at our conference in four months as our keynote speaker many years ago ten plus eleven years ago. And then I read his first book and then I read a second book and it really carried those forward. Those just really can be good models for the right person and in the right situation. And I think we have if we want to be successful we have to define what success is what that looks like and it’s gonna be different for all of us. And we have to figure out like what is the model that’s gonna help us be successful because people have different goals. I realized in the process along what we’re doing. One of my husband and I agreed that we wanted to do something ourselves and we didn’t want to partner with someone else. We just wanted. We know our team and we were comfortable with that but also I realized that this farm is a perfect fit for me because I want to transform a terrible old rundown Vermont farm and that is actually as as important to me as the profitability of this farm. I want the farm to be profitable but I want this land to be better than I found it. And that was the overarching goal for me. Tim Young: [00:37:01] So tell us about the land you’ve got a farm now. So describe it for us since we can’t quite see it. Jenn Colby: [00:37:07] So. So our farm is some eighty eight acres. It’s about two thirds wooded very steep. The soils are very thin it’s a very legit farm for folks who may or may not be familiar. Vermont’s is you know we’re old where we’ve got some old mountains and old weathering and this is a classic old Vermont hill farm that was continuously grazed. And so that probably first by sheep and in the mid 18 hundreds early to mid eighteen hundreds and then as sheep went out and small scale dairy and beef came in it was still overgrazing then. So we have us we have some pretty thin soils and nothing had been put on the farm for quite a long time. So the gentleman who is here is in his eighties and he had cattle for some years. And so the the the soil age is the best soil P.H. we have as a five point two typically. And so we run from a four point nine to five point two. Tim Young: [00:38:22] So you need to grow some blueberries I think we have a beautiful blueberry patch. I’m not surprised. No no is the pride and joy of that you’re gonna you’re gonna you’re gonna be a blue blueberry in a pine tree farmer. Jenn Colby: [00:38:34] Well we have that too. I can share pictures if you like. So we all love. We have a lot of pine trees coming on the side hill and a lot of lot of the farm that was able to be brushed on was during the years before we bought the farm. And so we have this mixture of open spaces and some pine trees coming up in the mature trees as well. But it’s an old old farm system that’s a beautiful trees on it. Our farm sits above our village and so it can see the village down below in this sort of lovely valley and we look across the valley at Hillside and we’re we’re directly in between east and west. Our house faces and so we have an incredible view of the sunrise in the morning and the sunset. Tim Young: [00:39:21] So I’d like for you to put your ag extension hat back on for a second this question because I know you can tell by talking to you that you very much embrace it seems like you have a passion for regenerative agriculture and the symbiosis between animals and the land but not everybody farms that way. And you know you mentioned that you’ve got leggy acidic soil there. So for our listeners who may not know the different ways you can restore health to the soil first what’s the way most farmers would approach that what would they do mechanically or chemically or whatever to that soil to bring it to a point of where they could produce something something from it and secondly what path are you trying to take with it. Jenn Colby: [00:40:06] So the most common way to address this presuming that one has a mechanized options would would be too I could potentially be to tell and recede. It could. It would certainly be to add soil amendments to sweeten the soil or increase the P.H. sir that would get closer to a six or six point five P.H. rather than the five we currently work with. All of those pine trees on the Hill. I’ve I’ve had a number of folks recommend that we just brush on them and take them down because they’re unsightly. So so a lot of it is it is it is mechanization. It’s some it’s very fairly chemically based too and mechanically based. And I certainly know plenty of farmers are able to do that and there’s certainly plenty of farmers who can do that even within a regenerative mindset where their plant cover crops they’re making you know a diverse array of species using mechanical tools and then they use a chemical amendments and and a chemical approach to balance out that portion of the soil and then they sort of step aside and let the biology come and kick in the place that I come from personally and I and I work with farmers all the time where this is their approach and I I really try to be respectful of the fact that we’re all coming from different places and we have different approaches and aspects and assets and so but from my farm and my approach I really feel like the livestock are the main tool that I have here so I can use their teeth I can use the feet I can use their manure their urine and I’m. I move them every single day when we’re out on pasture we usually get out onto pasture the very end of April beginning of May. I attempt to follow the great Judy Mitchell Innes model of leaving a really strong amount of residual. That’s not always possible with sheep and the number of sheep I have I only have about 30 at this point we’re growing but but I try to make a fairly tight paddocks that we can get as much travel as possible with the with a small number of animals like animals and I actually have been picking a bunch of spots and I’ve been documenting where I do this and intentionally doing some failed grazing. And so I drop around Bale up in the fields. We have snuffed out some some unwanted thin soil species and they’ve been coming back with much more diverse species and that’s been building up organic matter already. So the bale grazing and grazing grazing those are my two big approaches. Tim Young: [00:43:14] You know I wanted to ask this one question because I know you have now this off farm job and you’ve had it all along. It’s something I’m curious about on the one hand it seems easier to start a farm or to have a farm when you have an off farm job because you have income. But on the other hand you have less time to devote to the farm. So how do you go about choosing the enterprises that are doable with your off farm jobs and that allow you to have some downtime from time to time. Jenn Colby: [00:43:41] Oh boy that’s a good question. That was that was we didn’t think about that a lot. I had to think about that a lot in particular when I was writing the business plan because I didn’t want to over promise to our lenders about what was possible. And I also really want to maintain my sanity. I’ve not always been good at trying to balance my sanity and maintain it but I. But I’m working on that as I mature. And so that’s how we ended up saying OK the sheep we’re going to do your rounds. [00:44:18] The sheep are actually quite easy in the winter to manage I drop around Bale and their pen once or twice a week and then I check their water every day. But really the sheep chores or are 10 to 15 minutes a day in the winter is very minimal. They’re fine. I can see them from the house so it’s very easy to tell if anyone’s in distress or anything. Grazing in the summer works beautifully because like I just get up early and I go out with a sheep it’s a perfect way to exit what people go to the gym and that for me that’s that’s like my SO nature time. It’s exactly it works beautifully before work and then I go on the rest of my day and the sheep go on with their day. So that works beautifully. So we structured it so that the pigs would be in the winter partly because it works really well for us to have to raise pigs in the winter. The pigs do really well themselves. They grow a little bit more slowly but they never suffer from the heat. Tim Young: [00:45:16] So this means that you’re buying weaners and growing them outright. You don’t have breeder pigs. Jenn Colby: [00:45:19] Don’t a breeder pigs now. But that is actually in the in the plan for the next couple of years. But but that’s been the model I’ve worked with in the past and then it’s much easier to get a slaughter date in the spring than it is in the fall. So that works great. The pigs don’t try to get out. You haven’t raised all the balls. Right well that’s fair. No I have not. That’s fair. Jenn Colby: [00:45:43] But I mean they don’t in the winter time they’re very happy to snuggle in some hay to come out and see me when I bring them food and water and then to go back you know and hang out. But in the summertime they’re much more in the mode of testing fence the much more troublesome a good way pig way for the curious records. And so then we in general we we decided you know we’re going to do on farm workshops we’re going to do on farm dinners. Those are perfect to do in the summertime and we want to create a winter rest time for ourselves and that’s going to be that’s that you know to the extent that a livestock farm can. We wanted to create a space where there’s a break and we really do my conferences in January each year and then usually the February March time is actually pretty mellow in a relative sense. Tim Young: [00:46:39] Well let me let me ask you a couple marketing questions because I love talking about. I mean I’d love everything to do with animal husbandry and soil regeneration and all that that’s the heart of what we all do. But I just believe if you’re going to have a successful farm that marketing I’m sorry you still won the most important parts of it if you can’t get customers to pay for all this then it becomes a hobby. So I’d like to ask you some questions about on the marketing side. And one of them is it seems to me like you’re very passionate about the soil which I think is a very good thing but most consumers don’t they never give out a thought. They don’t care about that at all or they’re just not aware of it. So how do you actually work marketing tactics would you take to inspire consumers to actually care about soil so they’ll support your farm. Jenn Colby: [00:47:23] So I I have been taking a marketing class. It was something that I certainly struggled with. Our website was was set up in such a way to tell our story as if our story was unique from everyone else’s story which as it turns out it’s actually really not true. Lots of folks who who love the weekend but lots of folks who struggled to get here wherever here is a it’s been really helpful in this marketing class to really ask questions of my can my consumers my customers and and listen and adjust my tone and my information and my approach to what the things that they say resonate with them. And so you know some of the pieces of information I’ve gotten back from from my folks is they want to eat meat and they like meat and they feel guilty about eating meat. They think you know lots of stuff in the news says that eating meat is a terrible thing that we’re destroying the planet. And these are often books who I discovered who they don’t necessarily know how to prepare different kinds of meat. And that’s something that’s certainly in the wheelhouse of Chris and I it’s as competitive chefs and also as longtime meat lovers and meat raisers. So we’re trying to help them with that. We’re trying to help them understand what they’re actually doing good in the world by the choices that they’re making that they. And so I’ve been trying to do some education around soil health and and helping them understand that when you are buying a grass that products meet some of our customers are in our town and some of them are around our state and we have some that are out-of-state as well but that when you’re buying from our farm you are protecting water and that you are growing a community and keeping a community solid. Jenn Colby: [00:49:23] And it’s all about diversity. And there’s so much to be proud of in this in this choice to buy meat from a farm like ours. And that message seems to be resonating. It’s really it’s really quite lovely I’ve been writing blog posts and emails to our customers twice a month since June. And sometimes I get a response back and sometimes I don’t get a response back. But what I love is when somebody you know one of my customers will email me and say oh I just went through the meeting to tell you like I read all of your blog posts and you’re making me feel so much better and thank you so much. Like they feel better like I’m actually helping them. And so they’re helping the soil but I’m helping them and that’s that’s that’s been a shift for me personally as the farmers to think about how I’m helping my customer just just the label we’re in this together. And and it’s not about them giving me money and me giving them meat. It’s about us all being part of something together. And I think that people really like a feeling of belonging to something important. Tim Young: [00:50:34] And one of the ways you can facilitate that sense of belonging on their part and that relationship with you of course is by conducting on farm events. What is your strategy with having events to resonate with customers. Jenn Colby: [00:50:47] Oh well we’re trying to do a few different kinds of events. So some of them are free events and some are paid events and they’re trying to sort of bring in different people to enjoy different aspects of the farm so we do we call it a lamb open house that we have and in about a month after month or six weeks after the lambs start to come. So we’ve got some lambs of different ages and it’s in the spring we have a pond like this a lot of we’re setting up some different activities for kids that’s very oriented for families. There’s no charge for it. We just want to use it as a way to invite people onto the farm get to know the farm and feel welcome without you know without any money like that. It’s just it’s just welcoming in a neighborhood kind of a thing. And then and then we do some grilling classes and we do some. So we’re teaching people how to cook basically so and cooking meat can be kind of tricky depending upon the cut of meat depending upon the way that the person wants to cook it grilling and barbecue are really strong suits for us. Jenn Colby: [00:51:57] And so we’re. So we’re running some grilling classes where this year we’re planning to do one that’s focused. It’s gonna be taught by a champion e-mail Miller who won a national championship a couple years ago and she’s going to teach a really workshop focused for women with just women. So that’s we want to create a really nice safe space for women grilling is typically a male thing. And we we certainly bumped into this a bunch in our time in an in barbecue that men and fire is sort of a natural alliance that can be really intimidating for women. And so on. So we’re gonna have a woman grill master teach that particular class and then you know sort of mid summer. We we are we offer an on Fern plated on farm dinner that’s out by our ponds just to sort of enjoy that. It’s not necessarily for folks who are looking to learn how to be farmers but for people who just want to enjoy some good food and a lovely evening. Tim Young: [00:53:05] And what’s the strategy with this year you’re thinking about will this be like an air B and B thing or some kind of back or tourism idea. Jenn Colby: [00:53:11] Yeah. So actually so we have been looking at the year thinking about that as specifically as an Air B and B which we want to be able to give people some real real connection to real experiences and a lot of what we what we think where we’re pulling from our people from from the city or from more busy places who need a break. And we don’t necessarily you know we’re not going for four a five star hands on kind of an experience because we know that there are lovely hotels and resorts that we’ll do things like that. But but for folks who just want to go to a quiet beautiful place where they can understand where it comes from and be part of nature and with not with no pressure. And yet they don’t want to camera and we want to create that space for them and so I’ve actually been working with them with an organization called Iceland women on a crowdfunding campaign and a number of the Iceland women folks that I’ve been talking to are really excited for us to get this started because they all live in the city and they want to take the train up for Vermont so they can stay in our year. So I feel like their target audience is a starter. Tim Young: [00:54:32] So tell us about I fund women what is what is this and you’re using it to fund your yard. Is that right. Jenn Colby: [00:54:37] Yes yes. So I actually. So two years ago we tried to do a fundraiser with which I won’t name them by name but a different crowdfunding platform. And and that was successful in that I learned a lot about about crowdfunding but what I also realized was it wasn’t necessarily as hands on and what I saw as a as I apparently needed as a new crowdfunding person. And so what’s delightful about women is they work with women owned and women led companies and they they offer coaching they say give you a playbook to sort of you know a whole bunch of spreadsheet tools to help plan out your rewards to plan out your pitch to really they ask you questions they other opportunities to work directly with a coach to help you refine your message. You do that. So it is really really great. And they are the very network focused they’re very I love this about farmers as well. It’s been lovely to see this overlap that farmers really resonate with its farmer to farmer connection and sharing of expertise and support. And and I’m seeing the same thing and I’ve met women where they they connect women to each other and they really want us all to to share problems and share solutions and share support. It’s been a whole different experience. So we go live in the middle of February and I’m really excited about it. So I feel like it’s. Tim Young: [00:56:15] All right so Jenn there’s one thing that’s come up a few times that you brought up in this call that I’m really interested in although I’m not at all sure how to phrase this but it started with back in the beginning you talked about going sometimes on a farm tours and stuff and when there’s a lot of equipment and tractors will be intimidating for women you said and you just talked about the crowd funding for women and I see this a lot. See I’m seeing a lot in the farming world like farming things for women there’s documentaries just for women farmers. I’ve even seen business courses and marketing courses just for women. And as a I know I don’t know if you can tell this or not but I’m not a woman. So as a modern woman farmer I always go. I don’t get it because when I look for training and courses I didn’t look for things for men. So what is it about being a woman farmer that makes you feel like or that this isn’t necessary or that helps you. Jenn Colby: [00:57:09] So so it’s interesting because of the largely the history of male farming has been the history of male structures and male ways of learning. And and I think that we’ve learned a lot in in recent years about the ways that men and women they learn differently. They interact differently and and so I mean the vast majority. I will certainly say is is a workshop organizer. The vast majority of the workshops that I do are you know I mean I wouldn’t pitch them as being male or female but they orient well towards a very comfortable atmosphere for men and not always as comfortable an atmosphere for women. And so. So to describe that a little bit more I guess I would say that because that’s what a good person first. Tim Young: [00:58:11] I mean I mean I’m just I’m genuinely interested in this because I’m interested in insight as far as what is it that’s uncomfortable and how can we as a society make these things more equally comfortable. Jenn Colby: [00:58:22] Oh I know and I’m really really glad that you’re asking the question so. So I will say that that and I’m going to throw out a number and it’s totally going to be an estimate because I don’t have this data in front of me but I was at a Women in risk management education conference a few years ago and one of those educators who is training us all on working with women farmers pulled out some some data and she said we’ve got data that shows that if a man understands I’m going to give in a very rough estimate. [00:59:04] If a man understands 40 percent of the material he is willing to talk about it like he knows a lot about it. Tim Young: [00:59:11] Oh hell yeah that’s true. It. I’m not over 40 or 50 or 20 but I don’t order that I don’t need 40. I don’t need 40 but fair enough. Exactly. Jenn Colby: [00:59:20] Whereas a woman should feel comfortable to speak as if she’s an authority on a subject needs closer to 70 or 80 percent or of of that that level. So she needs she needs to have more data to feel comfortable to even speak. Even though she may be an authority on a thing. But part of that is societal part. Part of it is that that there has been an expectation of men as leaders and men as speakers. Jenn Colby: [00:59:52] There’s not always been an expectation of women as leaders or speakers and so and I know many many very well intentioned men who are very willing to give their opinion and not necessarily step back and wait for someone else who isn’t as loudly or quickly with their opinion who often as a female person. So it was very interesting as well. We hosted this last summer we hosted a workshop that was on US soil health that was run by a partnering organization and I just hosted it as a farmer. And while there had been men registered they didn’t end up coming and so we ended up with a circle of about six or seven women and we just sort of stopped and looked around and said wow the dynamic here is going to be a little different. We’re not looking to somebody else just be the person to speak. I mean we sort of feel listen the dynamic even when there’s there’s one guy in a room full of women. We kind of looks like OK. Like what’s your opinion. We ask him first. And when we do that two women do that too. So it’s like this is I think that women need to become more comfortable speaking up and I think that to be constructive men need to be a little bit more comfortable stepping back and I think to the good of all of us. I think it really is to the good of all of us yeah. Tim Young: [01:01:17] I mean of course we’re speaking in generalities but I mean I’m not I’m not going to disagree with what you said as it relates to be you know a lot of there’s a lot of us that you know that do learn and we’ll be competent. Tim Young: [01:01:27] It sounds to me like it’s a confidence issue. I mean there’s an example you gave. There’s two paths that could happen one is let’s tell us men to keep our mouth shut into to work the 70 percent mark which ain’t going to happen. And the other path is Bob you know teach women through these courses to become more confident at an earlier stage but yet is that a good thing. I mean are you suggesting that the ideal goal is for women to speak out competently at 40 percent knowledge. Jenn Colby: [01:01:55] I think that there’s a person. Yes and no. I mean I think that there is absolutely a benefit to to women feeling empowered and listened to enough to step up or to make other people listen. But I also feel like that construct that we have to constantly be pushing for who gets in first. We don’t have to assume that that’s the structure that’s kind of the structure we’ve been working with. Is whoever is loudest gets recognition. Whoever says what they have to say first gets you know makes their mark and I feel like we can pull back and we can have some different structures than that where we actually were more we more discuss we do things differently. I mean so so for example. So we were. So we were talking about the different differences between some male structures of and again this is so general but but it’s certainly something I’ve observed as a female farmer that there are some some many of the funding structures that we have in place are inherently disposed towards supporting male farmers. And I don’t know that that’s intentional. I mean I don’t feel like there’s a big conspiracy about this or anything it’s just the way that we’ve evolved. And so for example if we look at many of the lenders both federal and state lenders but you know banks I mean many lenders they’re looking for us to support a farm that has liquid assets. Jenn Colby: [01:03:31] So that becomes a farm with lots of tractors that can be liquidated that becomes a farm with LA. Oftentimes that becomes a farm with cows because they have a high value as opposed to goats or sheep or chickens that don’t. And so when I look at many of the successful women farmers that I know they have they don’t have big infrastructure. They don’t have concrete nests early. They don’t have lots of buildings. They have a whole bunch of animals of a size that they can work with and they have flexible movable infrastructure. But lenders don’t. I mean if I were a lender I’m not sure that I would like that in the sense that it’s you know I mean I didn’t make a great example for lenders because I had animals and I had a bunch of fence but I didn’t have a tractor. I didn’t have those really hard assets to back up alone. And so you’re going to have to ask yourself if women are going for smaller animals that they can manage. Does that mean that the lending system is inherently not not supportive of that. Tim Young: [01:04:38] Mm hmm. It’s a fascinating discussion though I’m just glad to have your perspective because I’ve never had this conversation before but I’ve always I’ve been seeing more and more of this and as a guy I was just interested. Tim Young: [01:04:48] Well you know what. What am I missing and what do you what’s on their side. But now I get it much more from your point of view. You know just a couple of last questions then we’ll take it up a lot of your time in this whole journey. You’ve gone through had you done any kind of assessment of what weaknesses you had or are opportunities for improvement will say in skills that related to sorting your farm and how did you overcome them or what was what’s important for you to be successful with your farm. Jenn Colby: [01:05:16] So the question about weaknesses is all of them. I just have a rotating set of weaknesses so. So I say yes to too many things I’m over exuberance. I had a good amount of animal science book knowledge from an animal science degree but that’s not the same thing as practical farming knowledge. I’ve learned a lot about marketing. I’m so super weak on mechanical stuff as you might imagine because I don’t get to practice that very much the way that I’ve overcome or at least tried to address everything is by continuing education. And so and I’ve just rotated through all the different ways to do a continuing education. 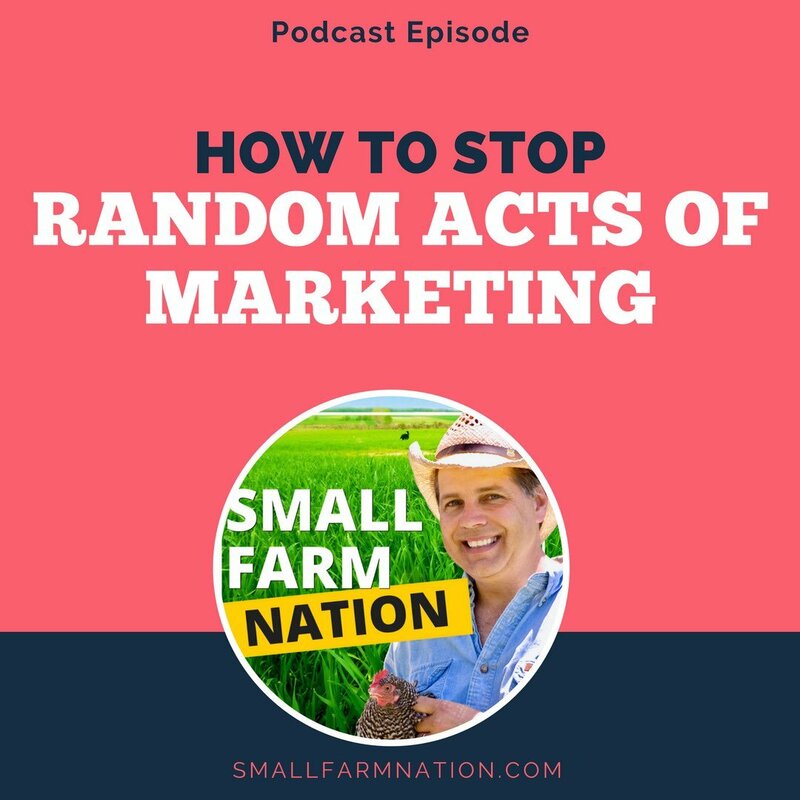 Jenn Colby: [01:06:02] That’s basically what I would recommend every other farmer who says I don’t know how to do this thing like go if there’s a farmer workshop in your area go to it if there’s a marketing opportunity and you feel like that’s your weak link. Go do that. The upshot here is that as farmers we can’t ever assume that we are done learning and yeah no no. Tim Young: [01:06:27] Absolutely absolutely. If any profession has continual learning is this one for sure. So how can people find out more about you if they’re interested in keeping up with what you’re doing. Jenn Colby: [01:06:37] Sure. So there’s actually a newsletter sign up link. If anybody would like to join us at Howling Wolf farm dot com or send me an email through math that’s a great way to catch me I’m just Jenn with two ends at Howling Wolf farm dot com Jenn with two “n’s”. [01:06:55] Okay. 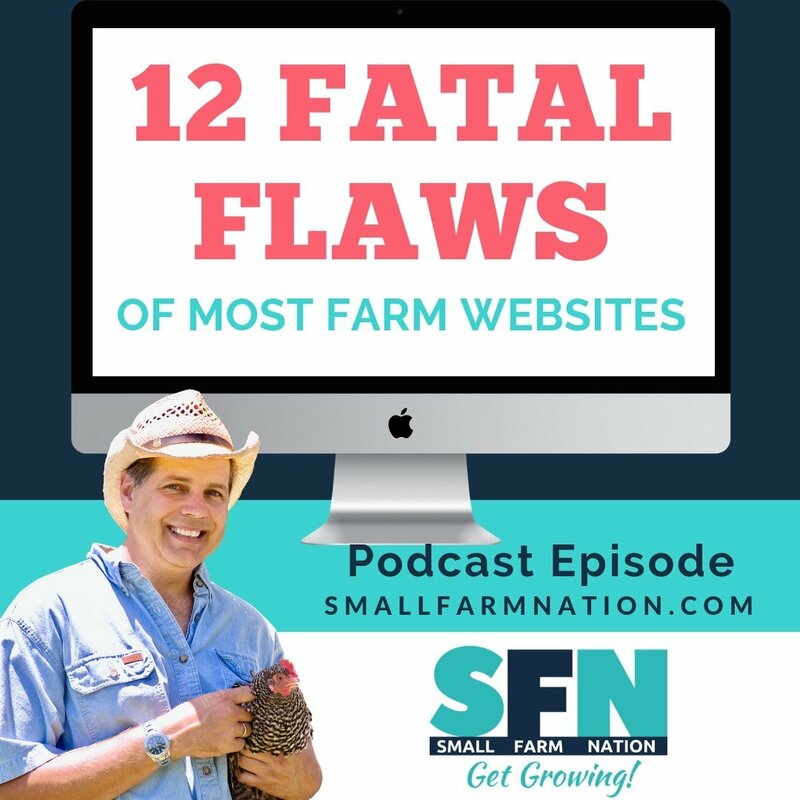 Jenn Colby thank you so much for spending’ this time with me on small farm nation. [01:06:59] Thank you so much. And thank you for asking questions about how to make things better for women farmers. We really appreciate it. We need people to ask. 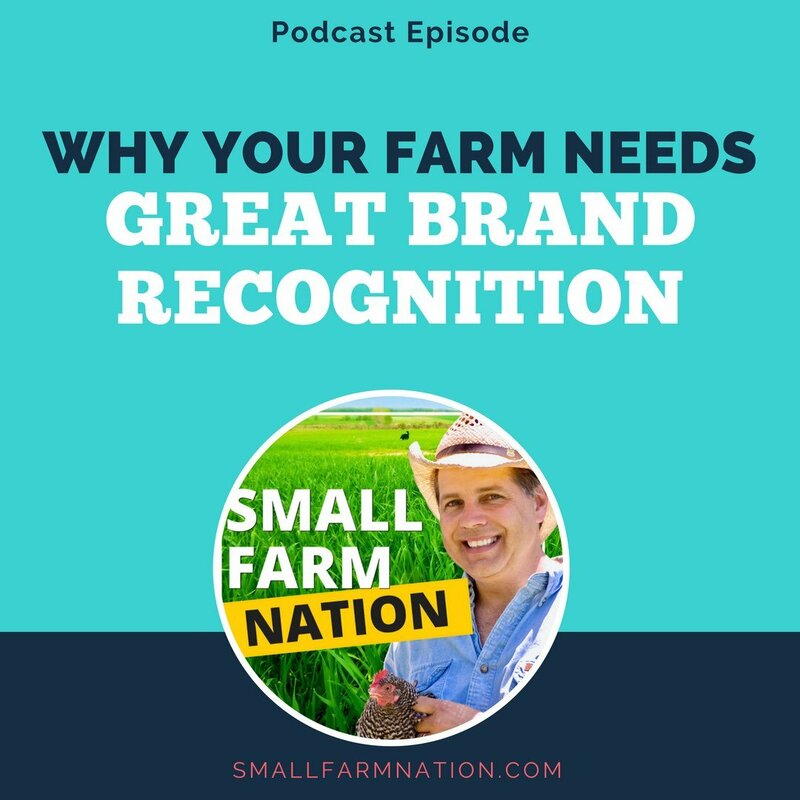 [01:07:06] Thank you for listening to small farm nation. If your goal is to own a thriving farm business with Moyle customers who gladly pay you the prices you deserve. 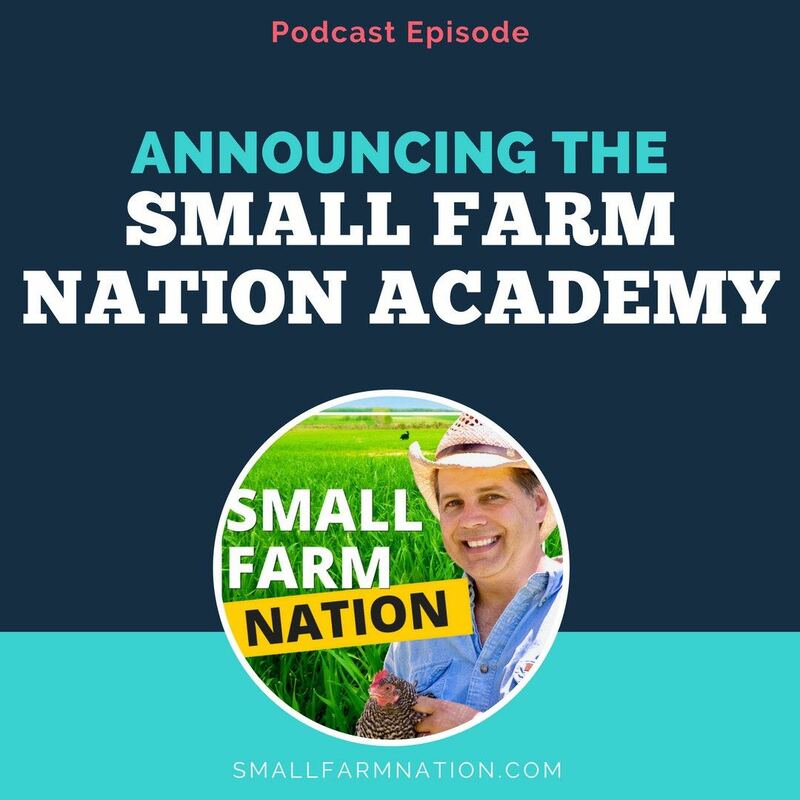 Check out small farm nation Academy dot com small farm nation Academy includes hundreds of video and audio lessons farm stock images. A community forum business plan templates and resources that will help you market and grow your farm business. Plus you get a state of the art foreign press website free with your membership if you want. And that includes hosting and email unlimited accounts. And get this as a small farm nation Academy member you get personal one to one coaching from ten to three. 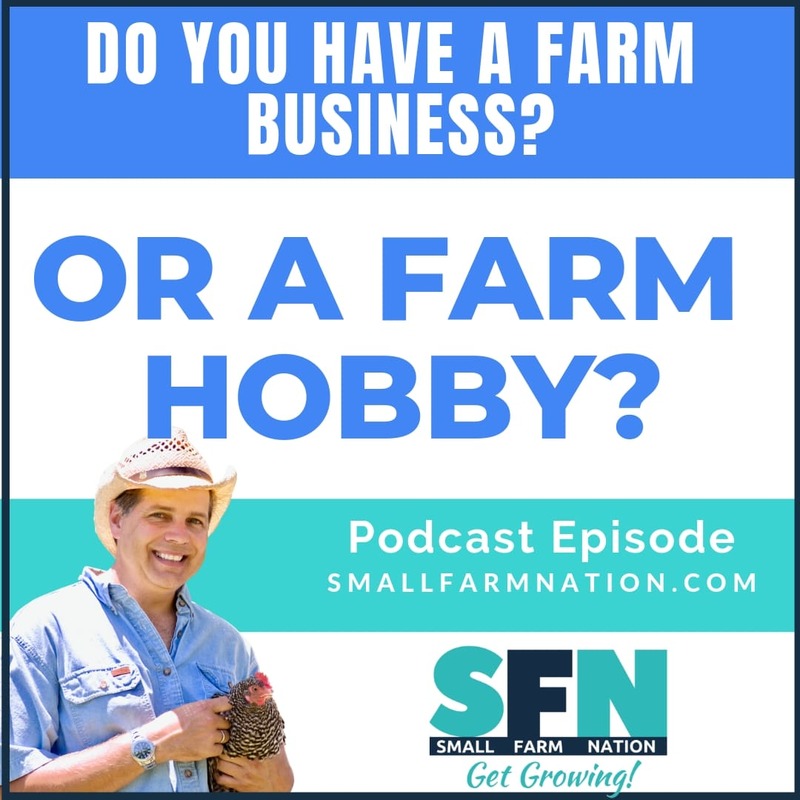 Anytime you’d like small farm nation Academy is like having Tim as your own personal farm marketing and business mentor on call. But at a fraction of the cost of in-person consulting and small farm nation the Academy has a full no questions asked seven day money back guarantee. So there’s zero risk to you. 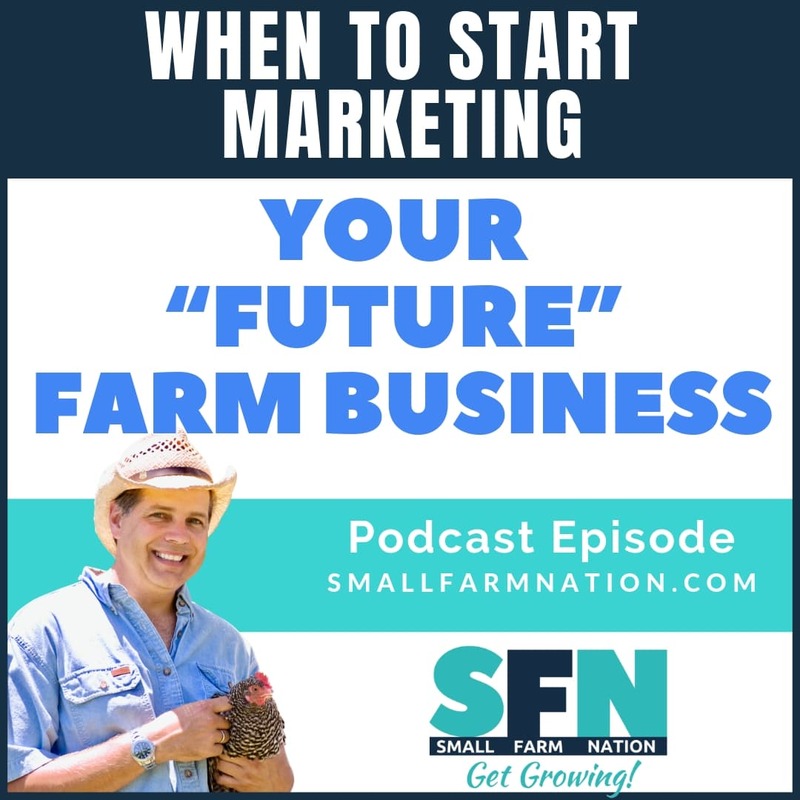 The time to start marketing and growing your farm business is now if you’re serious about having a profitable thriving farm business. 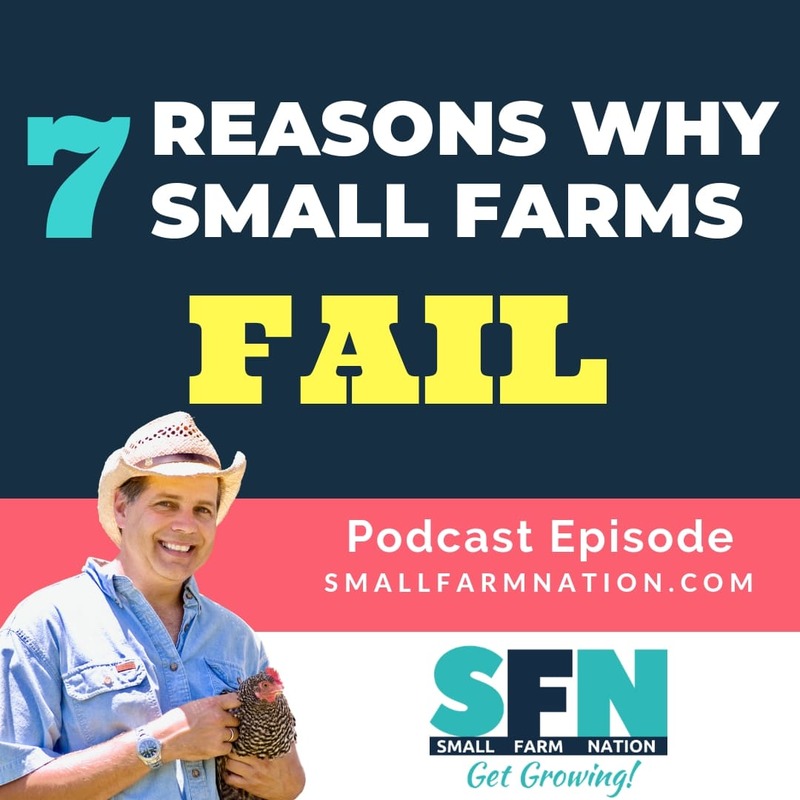 Join small farm nation Academy dot com today if you enjoyed this show. Please share the love. By leaving a five star rating and review on items and by introducing small farm nation to anyone interested in farming for local food. Thanks for your support. And until next time thanks for being part of small farm nation.